Noteworthy: Designed and created a unique engineered system of strategically placed long stainless steel screws to reinforce dozens of beams and prevent future warping, twisting and cracking. This project is our first with the University of Massachusetts. 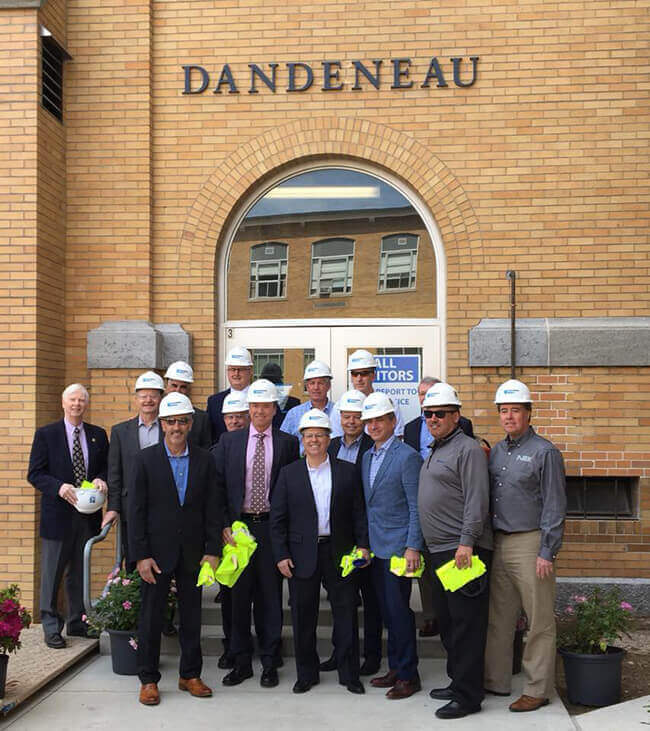 We were pleased to have the opportunity to work on the restoration of Pasteur Hall which was built in 1937 as part of the Lowell Textile Institute. 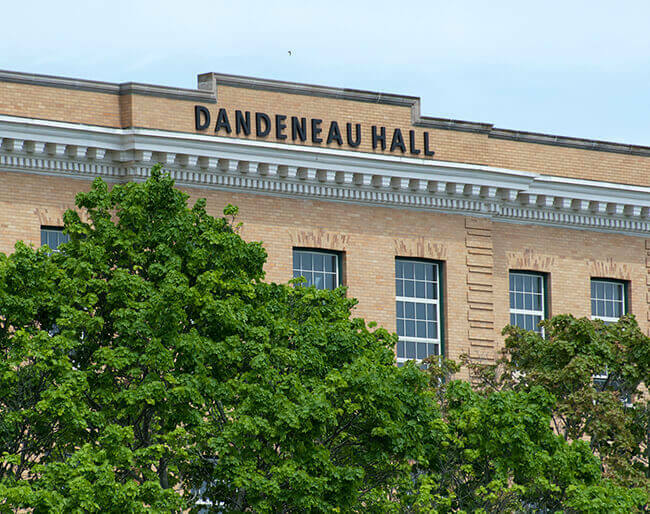 The building was recently renamed Dandeneau Hall after alumnus and benefactor of the restoration and renovation project, James Dandeneau. This UMass Lowell building will house the mechanical engineering and computer science faculties along with new robotics and computer labs. The four upper floors of this building were scheduled for renovation and restoration, but structural stabilization was required before that work could begin. M&A was called on by Commodore Builders to join this project because we are experienced in historical building renovations, including structural stabilization. In this case, four floors of the building had severely cracked beams which needed to be repaired to support the spaces being renovated. In July 2018, the beam stabilization work was completed with all four floors of the building stabilized successfully, predominantly using a custom designed screw system.